Leave the dusty broom, or the old dustpan and brush behind – the only device you’ll ever need to clear your cellar, garage and workshop is the WD3 P vacuum cleaner from Kärcher. Whether you need to pick up dry debris, dust, glass or even liquids, the WD3 P vacuum has a specially designed cartridge filter that enables you to tackle it all without the inconvenience of changing the filter. The liquid pickup feature of the WD3 P is not only beneficial for cleaning up spills, but also has the capability to unblock sinks. You can even clean up whilst you work – the power-tool triggered auto-start synchronises power tools with the WD3 P, allowing you to limit mess whilst sanding and sawing. 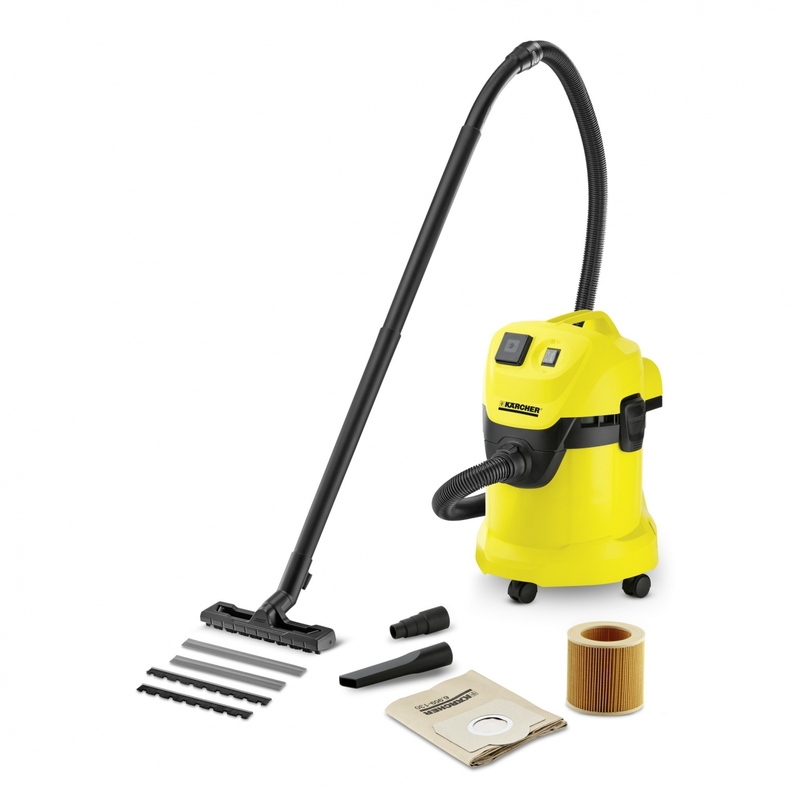 It’s compact and easily transportable, with an ergonomic handle designed with convenience in mind; clearing all manner of dirt and grime, and its innovative design features don’t end with its powerful suction. The WD3 P also has a blower function, allowing you to dislodge dust from corners and harder to reach crevices, like your radiators or behind fridges and freezers. The WD 3 P multi-purpose vacuum cleaner has a 17-litre container and with the WD3 P’s high suction force and energy efficiency, you’ll be wondering how you managed without it. For easy container opening and closing. * Measured by the suction tubes according to the standardised IEC 60312 method of measurement.